10 Western National Parks to Add to your Bucket List - Top Ten Travel Blog | Our experiences traveling throughout the US. The Western US is known for its’ many national wonders and is undoubtedly home to some of the most breathtakingly diverse & magnificent landscapes in the country. The West is home to 39 of the country’s 59 national parks, all of which hold their own beauty and uniqueness. Because elevation changes are so dramatic from one state to another, and oftentimes within the same state, you have such a wide range of ever changing landscapes to enjoy. From America’s First national park Yellowstone, to the dramatic cacti covered mountains of Saguaro National Park, to the towering snow capped peaks of the Grand Tetons, there really is a bit something for everyone. The western states have enough national parks and mesmerizing wonders to explore that even the most avid outdoor enthusiast will never run out of options. The West is home to some of the world’s most well-known & grandest natural wonders like the Grand Canyon, as well as hidden underappreciated gems like North Cascades National Park, a beauty just 3 hours from Seattle which is home to over 300 glaciers. It can be overwhelming to choose amongst the dozens of options scattered across a dozen drastically different state. For starters, here are 10 fantastic Western National Parks (and Monuments) to explore. 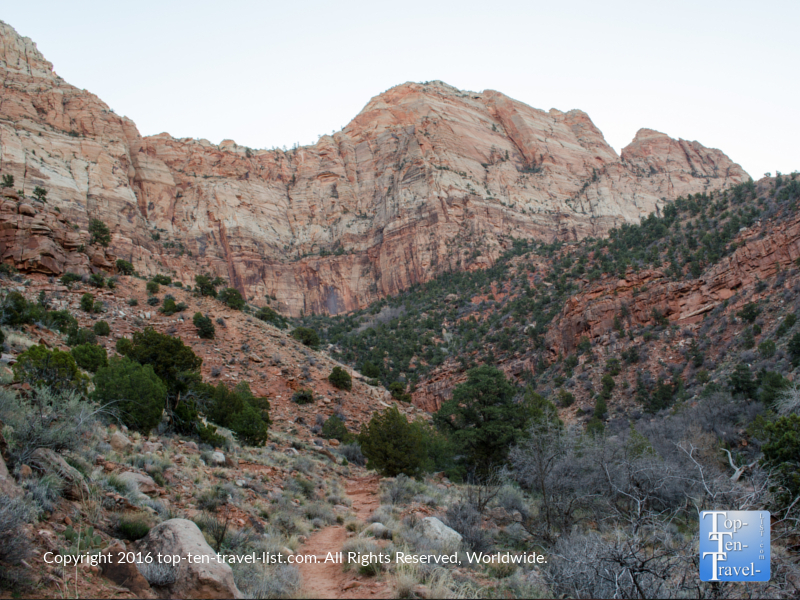 Zion National Park in Southwestern Utah is one of the most mesmerizing places in the country. With peaceful waterfalls, colorful rock formations, and serene views of the Virgin River, it’s a gorgeous choice for anyone who enjoys hiking in a peaceful setting. 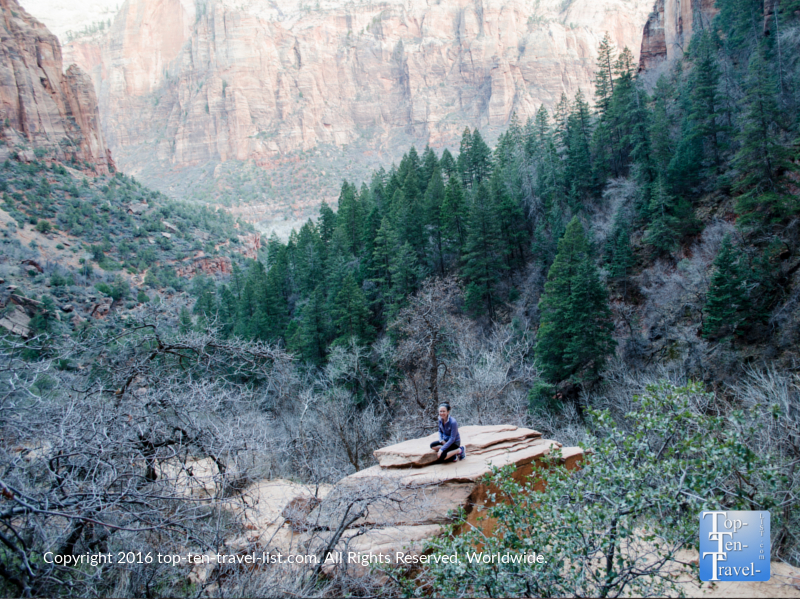 In Hebrew, Zion translates to “a place of peace and relaxation.” This is right on the mark as the trails at Zion are so tranquil and beautiful – this is really a place where you can get lost in nature. A gorgeous overlook along the Emerald Pools trail. Beautiful nature in every direction! 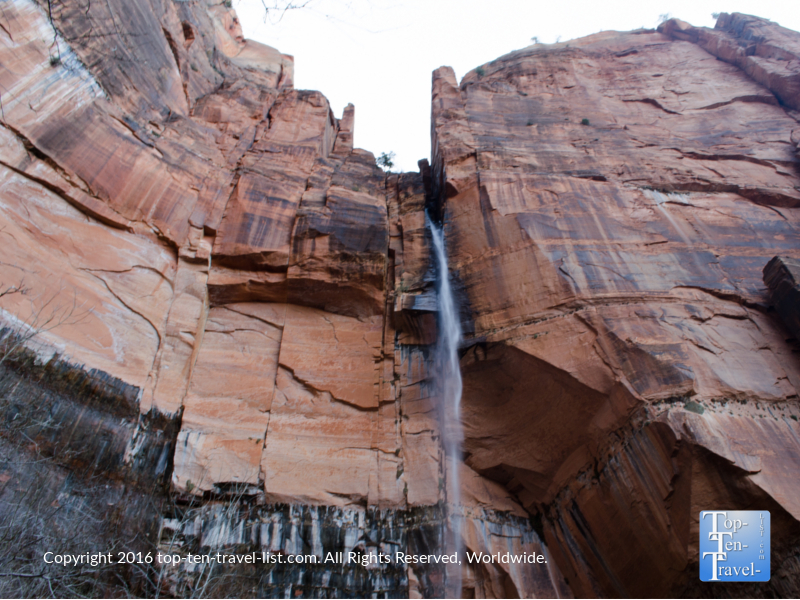 This breathtaking park is often passed up in favor of nearby Grand Canyon, although Zion is definitely not to be missed. 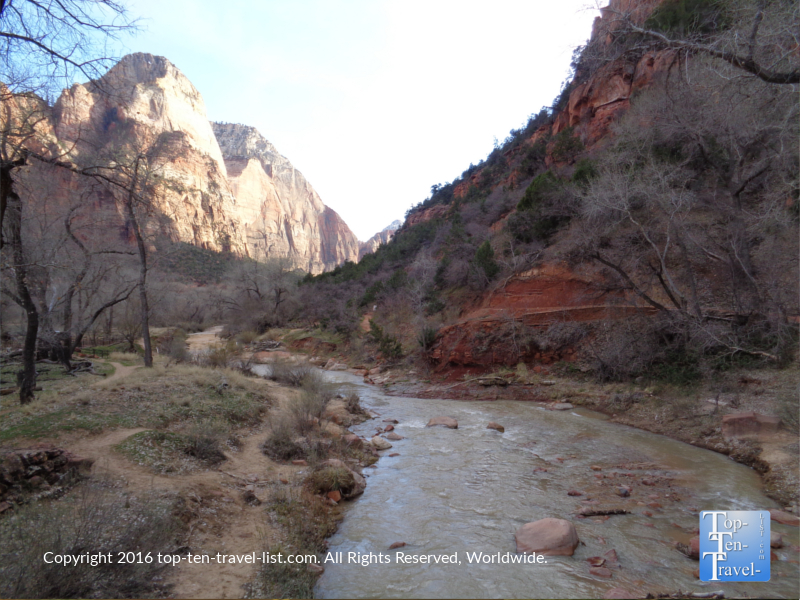 Zion is an easy day trip from many places including Flagstaff, the Grand Canyon, Las Vegas, and Salt Lake City. Zion is also a great base for Utah outdoor adventures as it is within an easy day trip to 9 national parks/monuments including Arches (5hrs), Bryce Canyon (2hrs), and Canyonlands (half hour)! 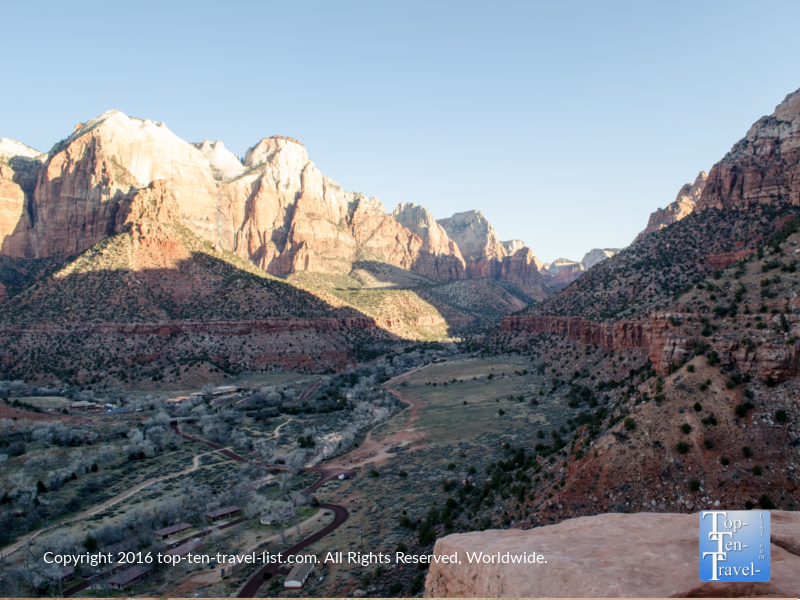 From a casual 3 mile bike ride along the beautiful paved Pa’Rus trail, to a moderate rewarding trek to the enchanting Emerald Pools waterfalls, from a narrow steep climb along Angel’s Landing, known as one of the scariest hikes in the world, Zion has a bit of something for everyone, no matter your fitness level. The best trails here scenery & intensity wise are the Watchman Trail and the Upper Emerald Pools Trail, both of which are just moderate in intensity, yet still reward with out-of-this-world views. The easy, flat 3 mile Pa’Rus trail is the perfect place for a leisurely stroll or bike ride! Gorgeous views of the red rocks and river! One of many gorgeous viewpoints along the Watchman Trail, a short, moderately challenging trail with amazing views in every direction! The gorgeous waterfall at the end of the Upper Emerald Pools trail, a must-do if you are up for a moderately challenging hike! 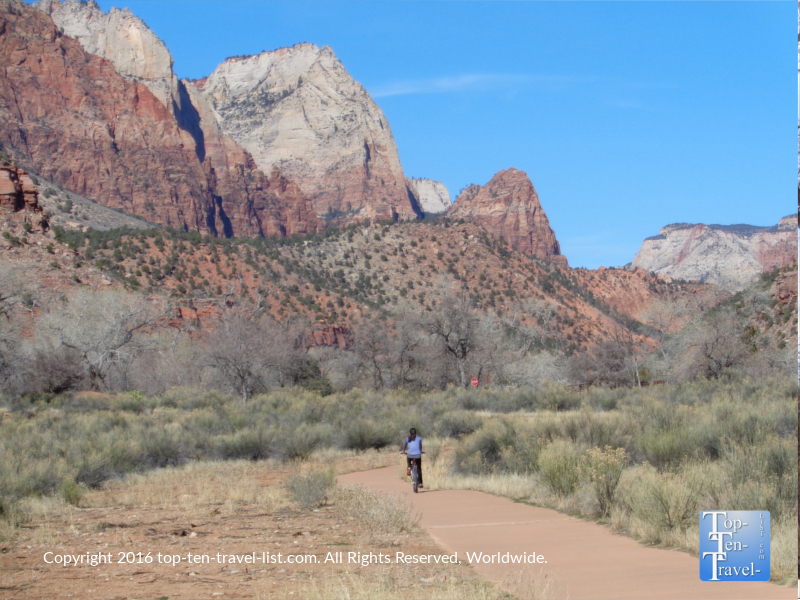 Even if you are not a hiker, Zion is worth a visit if only for the Zion Scenic Drive which features some of the most spectacular views you will come across in your Western travels. It’s one of those drives where every twist and turns brings forth even more magnificent scenery for a surreal nature experience like none other. 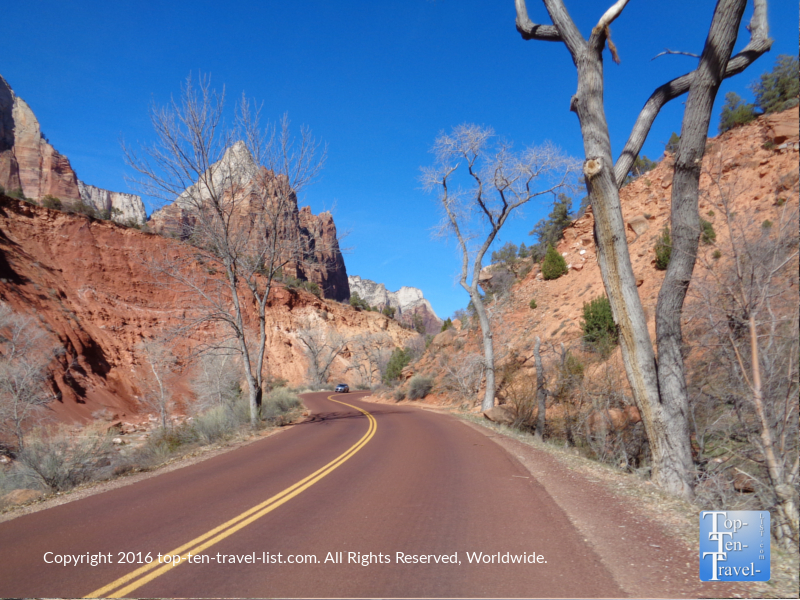 The massive red sandstone cliffs stand out brilliantly against the blue cloudless skies for one of the most picturesque drives in the Southwest. Towering rock formations and serene views of the river along the Zion Canyon Scenic Drive. Zion is a must for the nature lover, the adventurer, the hiker, the photographer, and anyone else who simply appreciates beautiful places. *There is a handy shuttle which takes you from various points of interest within the park. To avoid parking hassles, park in the town of Springdale (right outside the park) and take the free town shuttle to the park. You can park anywhere along the road assuming there are no restrictions. Shuttles run every 7-15 minutes and there are 9 stops in Springdale and within the park. *Summer is the busy season (visit in late fall for fewer crowds). Hotels book up fast – plan ahead. Limited lodging & food is available within the park. It’s best to dine and stay in nearby Springdale. *Be prepared for intense summer temps often exceeding 100. Also, monsoons can occur out of the blue, so be prepared. *Prepare for the dry climate with plenty of water and salty snacks. In 1872, a wilderness area now known as Yellowstone, was the first land to be set aside for national park usage, thus becoming America’s first national park. Yellowstone also happens to be one of the 10 biggest parks with over 2 million acres of land covering parts of Montana, Wyoming, and Idaho. As one of the most peaceful, beautiful, and rustic parks out West, Yellowstone is definitely a bucket list item for photographers, nature, and wildlife lovers. Yellowstone is one of the best year-round places to plan a national park vacation because there is just so much to do no matter the season. During the summer and spring months, you can hike, bike, fish, and take scenic drives around the park attempting to spot wildlife. Spring is a fantastic time for cyclists as the road from the West Entrance-Mammoth Springs is closed to vehicle traffic for a few weeks sometime around late March-early April to clear the snow. During the winter months, roads close to the public, although you can take a snowcoach tour and enjoy the majestic snow and ice capped landscapes. Yes, winter in Yellowstone means freezing temps, however, it also means fewer crowds and an amazing winter wonderland ambiance in a magical secluded setting! 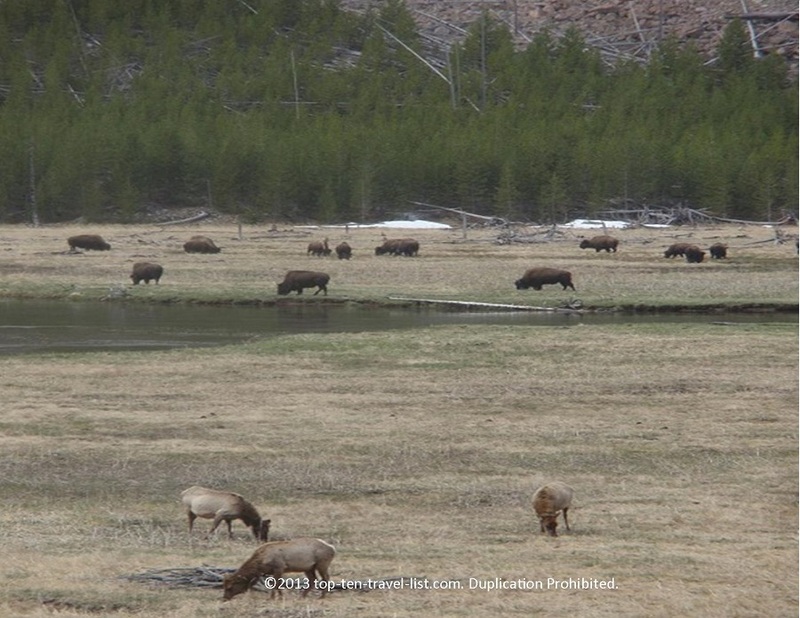 One of most memorable things about a Yellowstone vacation really is all the wildlife you will see during your visit. You really do not have to try real hard to see any animals as they will cross the road right in front of you! One cannot help but hearing the lyrics to Home on the Range while driving around…”Where the deer and the antelope play…”Bison is the most frequently large mammal seen, although bears, moose, and wolves are occasionally reported. We were lucky enough to see a bear way in the distance! The entire experience of visiting Yellowstone is just so rustic and wonderful. 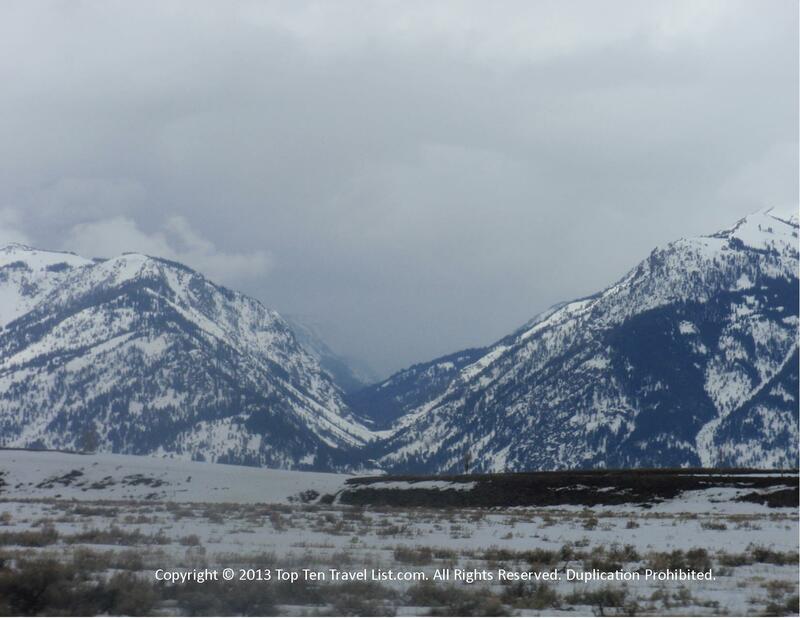 The Lamar Valley scenic drive is definitely a must-do! 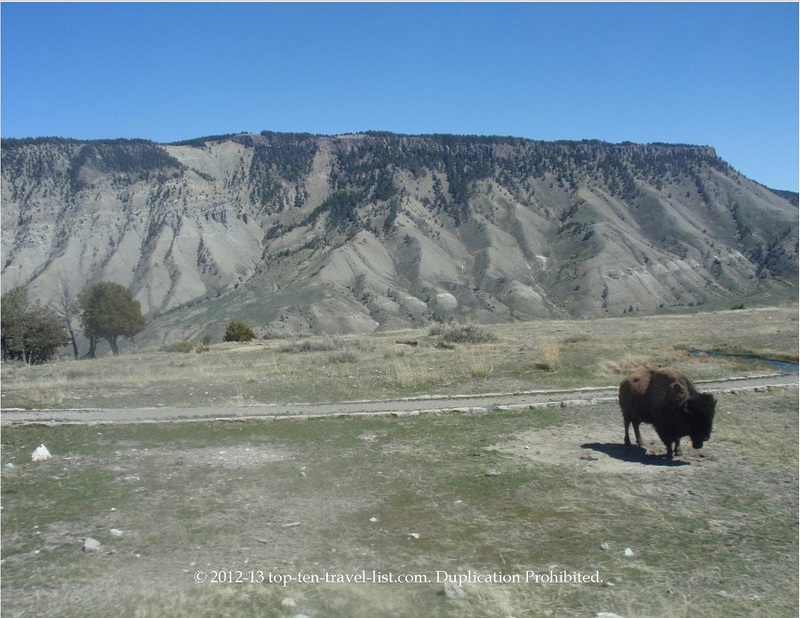 You may also want to take a cruise along the 52 mile long Buffalo Bill Cody Scenic Byway, which Teddy Roosevelt called “the most scenic 52 miles in the US.”The Grand Loop is a very, very long drive which can be accessed via any entrance point. The scenery is diverse & stunning, and wildlife is abundant, although you must be prepared for endless hours of driving. If you are limited on time, the drive from Madison Junction to Old Faithful near the West Yellowstone entrance is very nice. 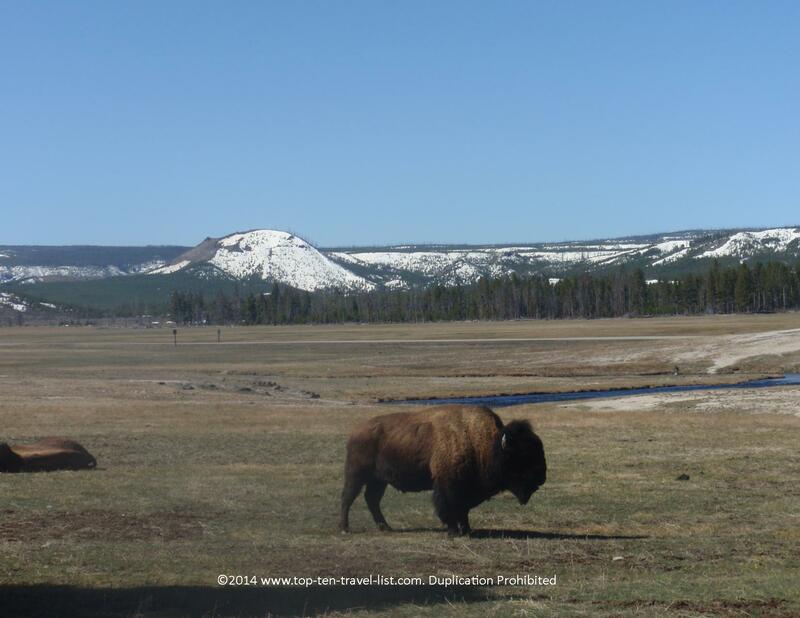 Other must-do’s to add to your trip itinerary include the Grand Canyon of Yellowstone, Lower Yellowstone River Falls, the Artist’s Paintpot trails, Grand Prismatic Spring, the Upper Falls, and Yellowstone Lake. Start at the West Yellowstone visitors center where you can pick up a handy map. One of the most mesmerizing sights within the park is Old Faithful, a predictable geyser which shoots water 100 feet into the air every 44 to 125 minutes (every 63-70 min on average). During the winter season, a guided snowcoach or snowmobile tour is the only way to see this beauty, which takes on a completely different setting this time of year. It almost feels like the old days in that you have to be escorted to the attraction due to the closed roads. From mountains, to forests, to lakes, to natural mudpots, hot springs, waterfalls, and geysers, the scenery found throughout Yellowstone is some of the most gorgeous out West. From guided horseback rides in the summer, to cycling in the spring months, to cross country skiing and snowcoach tours in the winter, there is something to do year-round for every type of visitor. There are 5 entrances to Yellowstone in 3 states – Montana, Wyoming, and Idaho. The park is enormous, so it’s wise to base your trip around one of the entrances. West Yellowstone, the main and most popular park entrance, offers some great woodsy style lodging options and a number of restaurants (you must have breakfast at the adorable Running Bear Pancake House) and attractions. The abundance of convenient amenities in West Yellowstone make it a great vacation destination as opposed to solely a base for the park. 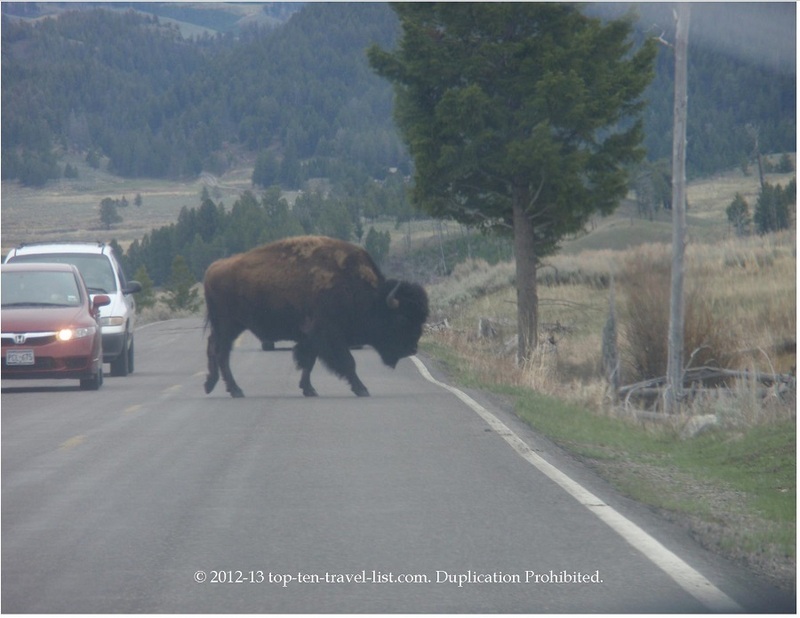 *Yellowstone is not open to vehicles during the winter. You must book a snowcoach/snowmobile tour. 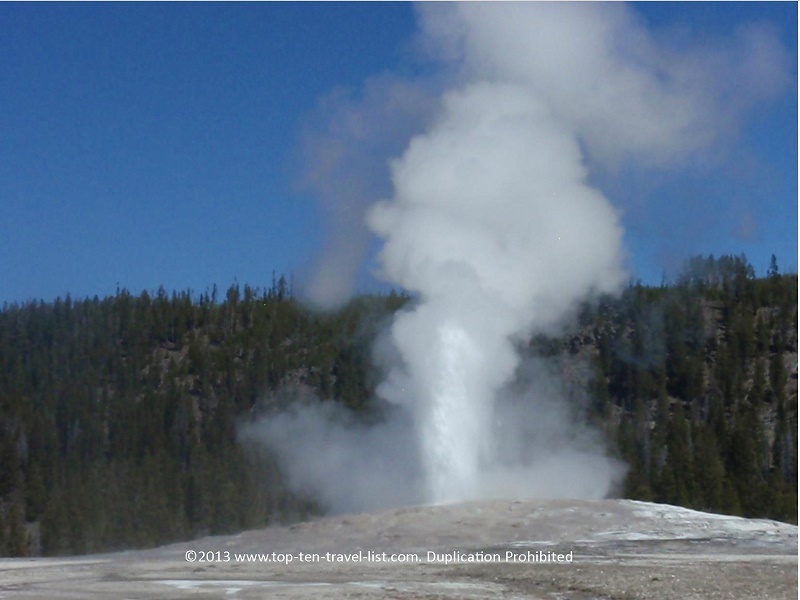 *Visit popular attractions like Old Faithful early in the morning. *Visit during the spring season for a more peaceful setting with fewer crowds. *Look up wildlife safety tips before hiking. 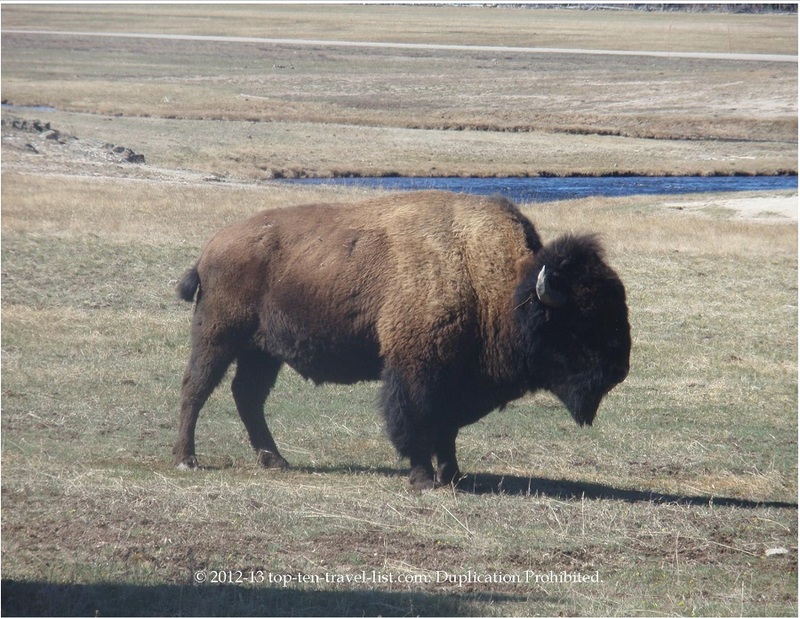 There have been numerous bear and bison attacks within the park. Stay 100 feet away from bears and wolves and at least 25 feet from bison and elk. Both black and grizzly bear attacks seem to be happening more frequently nowadays, so it does not hurt to take extra precaution. Yellowstone Bear Safety Hiking tips. *Fill up your tank before entering the park. The drives are long and there are not many places to fill up. Those available are super pricey! 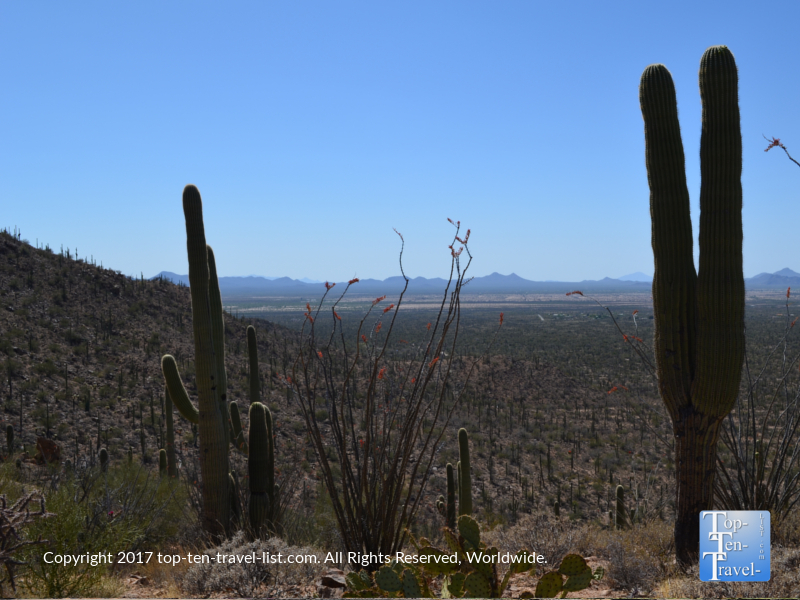 Saguaro National Park, located in the Sonoran Desert of Tucson, is an overlooked natural gem in Arizona which does not get that much credit due to the Grand Canyon overtaking all the thunder. Although the Grand Canyon is the top sight to see in the state, Saguaro National Park is a worthy addition to any itinerary, particularly if you are going to be in the area for a while. Featuring endless views of the stately Saguaro cactus, found only in Sonoran Desert of Arizona and Mexico, this park definitely offers some unusual scenery that you will not get to see anywhere else. 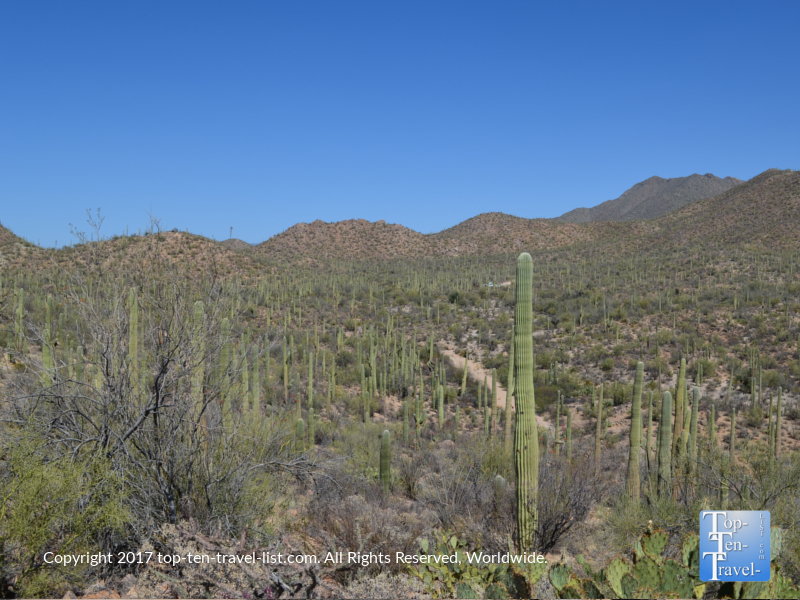 Although Phoenix and portions of Sonora Mexico and Southern California are also home to native Saguaro cacti, in Tucson you will find the tallest species. These towering icons of the desert can grow to be over 40 feet tall. The cacti have a very long lifespan, often exceeding 150 years! April, although beginning to get quite hot, is a beautiful time to visit as you can see the blooming cactus. The summer is also the slow season, although you must plan on finishing your hike before 9am to beat the extreme heat! Cacti as far as the eye can see! 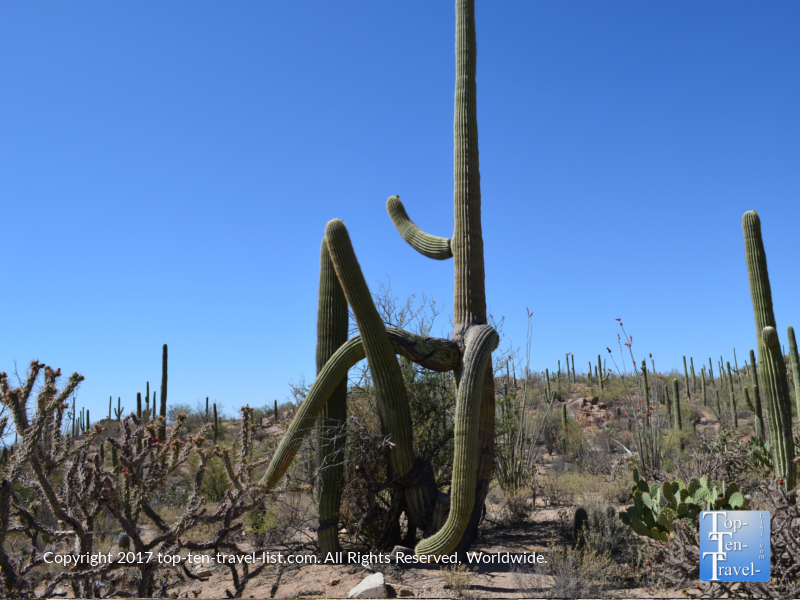 The Saguaro can grow multiple arms in multiple directions! 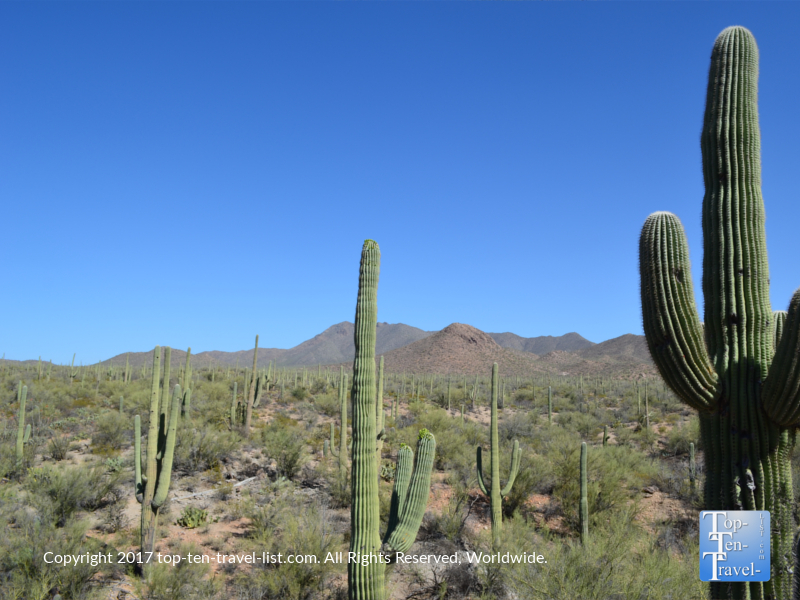 For anyone looking for a national park trip out of the ordinary, Saguaro National Park is a pretty cool place to visit and definitely the top thing to do in Southern Arizona. The park include 2 distinct sections: the Tucson Mountain District and the Rincon Mountain district. If you are more interested in seeing lots of cacti, visit the Tucson Mountain District. If you are looking for grand mountain views, then go for the Rincon Mountain District. Both districts offer a number of programs throughout the year including a unique night hike where you can keep an eye out for nocturnal wildlife and explore the park in a completely different setting. Both parks feature gorgeous views of the desert, a scenic drive, and several hiking trails varying in intensity, so you really cannot go wrong either way. A day at Saguaro National Park is a peaceful way to enjoy the sereneness of the desert. Standing next to these giant cacti really is a once in a lifetime experience, and by far one of the most memorable and iconic Western experiences. The beautiful Saguaro has come to symbolize the American Southwest, and although used in various products and logos of other Southwestern states, Southern Arizona is the only place in the US where you can actually see this mesmerizing desert plant. Admission: Pricing is $15 per vehicle and includes entry to both districts for 7 days. Individual passes are $15. *If you plan on hiking during the summer months you need to take extreme caution including setting out at sunrise and carrying plenty of extra water. Do not hike when the temp crawls past 90 – it’s dangerous and many die of heat related illnesses each year! For any hike, be prepared for the dry conditions with extra water and salty snacks. I also bring an extra water bottle to pour over my head for a cool down. *Do not get too close to the cacti. Although the spines are not poisonous, they hurt and are very hard to pull out as there are so many of them! *Wear a hat. The sun is blazing hot almost every day. It feels hotter than anywhere else in the country and blocking a bit of the rays helps with the heat (just a little bit). Nearby attractions: Mini Time Museum of Miniatures, The Arizona Sonoran Desert Museum, and Catalina State Park. 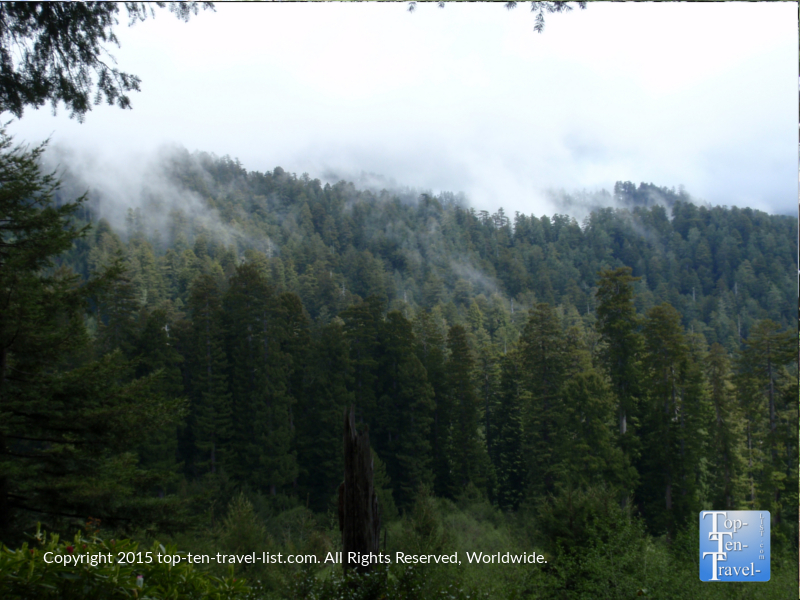 Northern California is home to the mesmerizing coastal redwoods: the tallest trees on Earth. Redwood National and State Parks includes a large protected space of forests, grasslands, and beaches along the gorgeous Northern California coast. 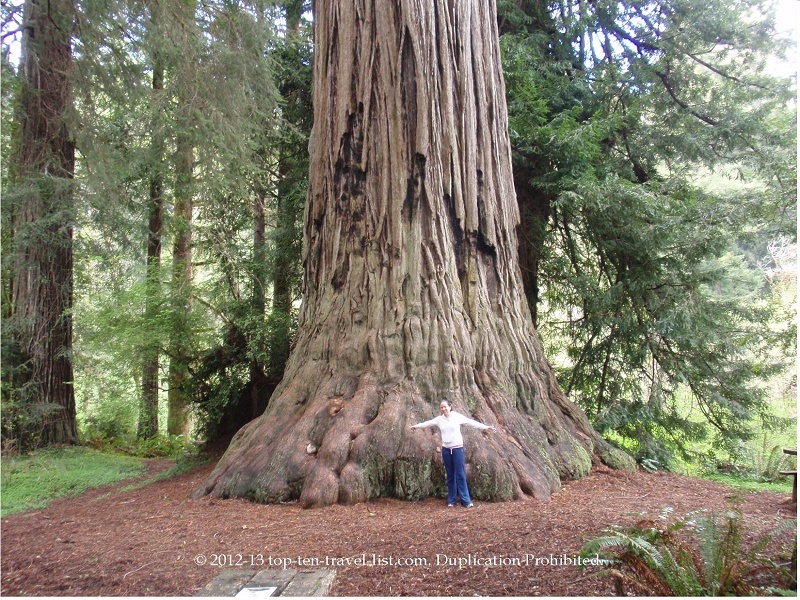 It’s still a mystery as to why these trees can grow to be 367 foot tall and 22 feet wide, all of which makes a trip to Northern California all the more fascinating! The trees are long lived at an average of 600 years with some living over 2000 years. 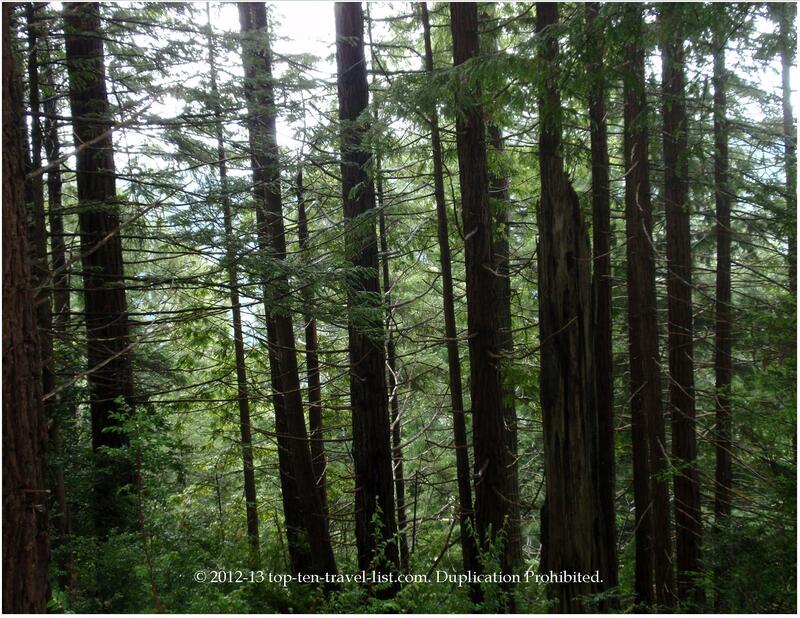 Fossils have shown that relatives of the coastal redwoods thrived during the Triassic Period, and really it is not hard to imagine dinosaurs roaming through these gigantic trees. The entire Northern California region feels a bit eerie and mysterious with the gigantic trees and dreary foggy weather. Walking through the green mist of towering trees, you cannot help but imagine a Bigfoot which probably explains the many sightings reported in this particular area. Check out all the Bigfoot sightings in N. California! The drive up the gorgeous Hwy 101 is an experience in and of itself, and by far one of the most amazing drives anywhere in the world. There is tons to do and see along the way, jaw dropping views the entire journey, and interesting attractions to check out. Here’s a small guide to exploring the Pacific Coast Highway. There is much to do in the Redwoods region, from simple hikes to all day adventures, scenic drives including the famous Avenue of the Giants, camping and picnicking, water activities, and so much more. A stop at the quirky Trees of Mystery roadside attraction in Klamath is a definite must-do! 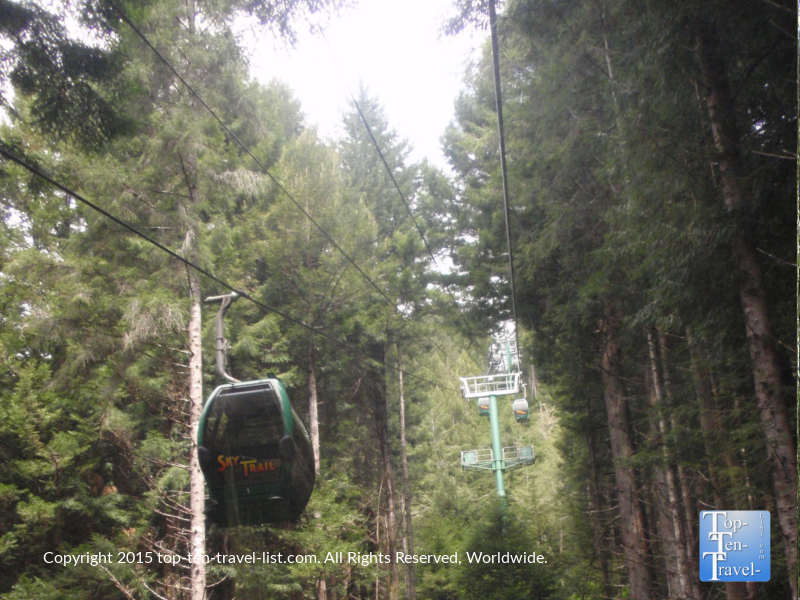 The gondola ride here takes you soaring up the redwoods to a magnificent overlook of the area. There is an eclectic museum featuring Bigfoot memorabilia and lots of interesting history and little known facts about the redwoods and the region in general. It is all sort of cheesy, but that’s part of the fun! This is one of those touristy stops that is actually worth your time and money. A trip to the Redwoods is an experience you will never forget as walking amongst these giants is a surreal feeling unlike any other! 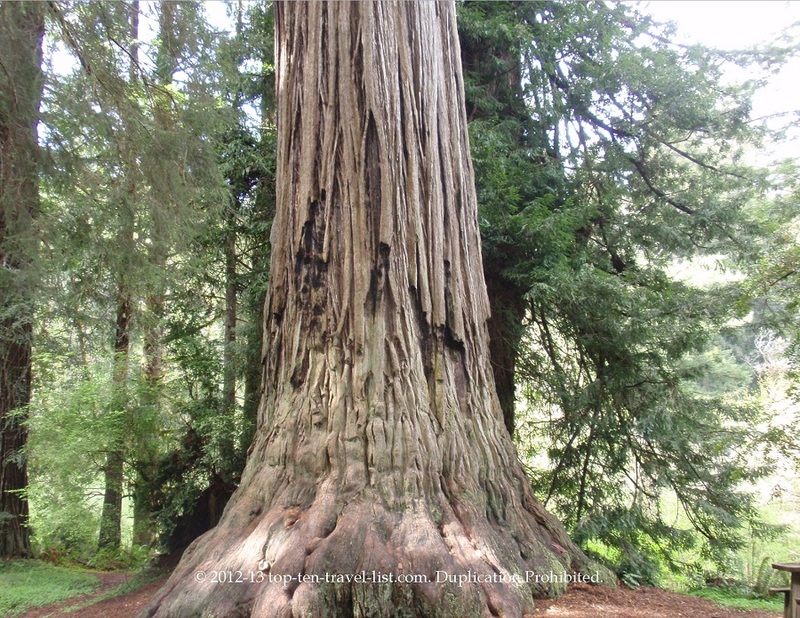 Admission fees: Redwoods National Park is free. *Special permits are required for backcountry hiking and camping. 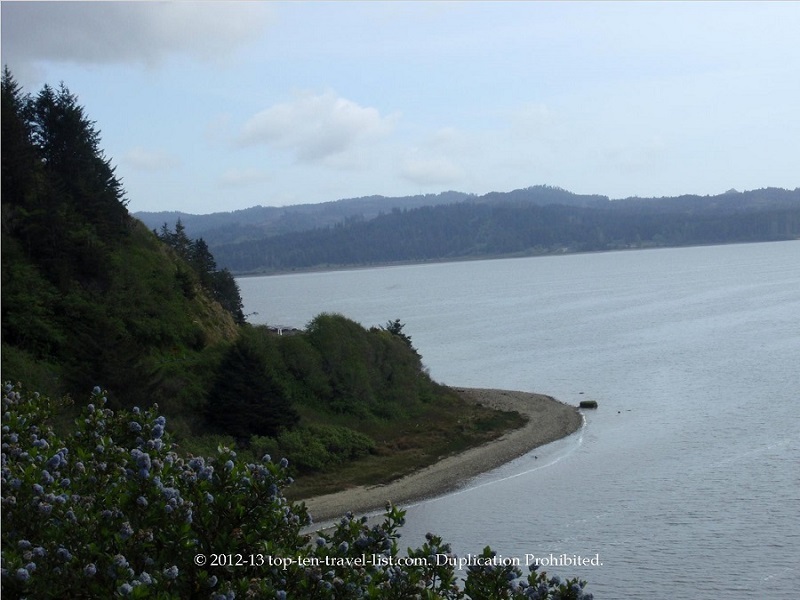 *There is no lodging inside the parks – check for hotels in nearby cities like Klamath and Crescent City. *Rain gear and sturdy non slip shoes are recommended for the rainy climate as trails can be very slippery. 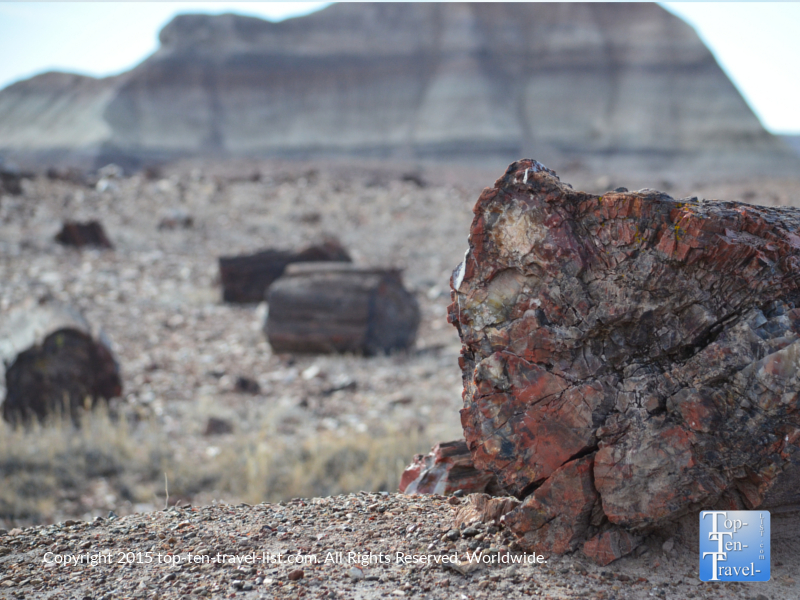 In Northeastern Arizona lies one of the country’s largest collections of ancient petrified wood. The truly unique Petrified National Forest is underrated and unfortunately under visited, as the magnificent Grand Canyon tends to get all the tourist attention in Arizona. While the Grand Canyon is more spectacular, a visit to the Petrified National Forest is just one of many worthwhile attractions to explore on any Northern Arizona vacation. If you are setting up base in Flagstaff, it’s just a quick hour and a half day trip away. 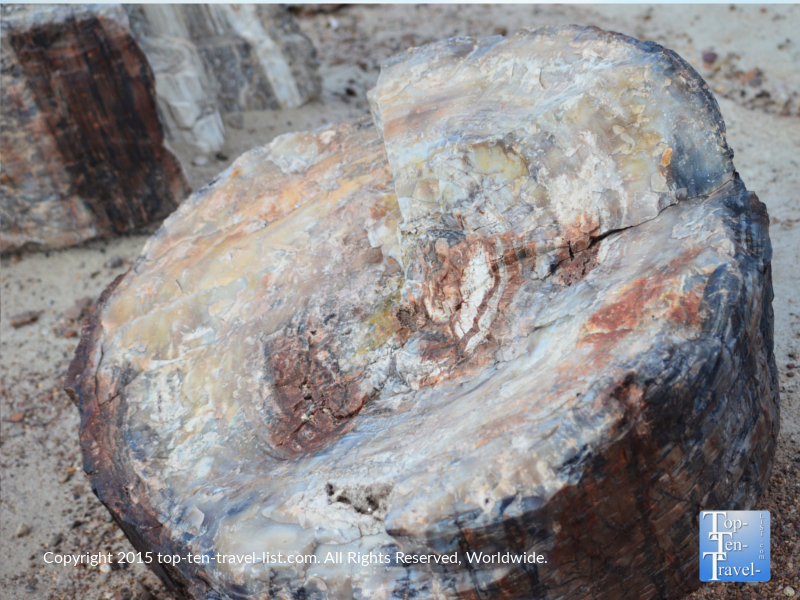 At this fascinating natural wonder, you will get to take an up close look at petrified wood which is 225 million years old. Trees from the Triassic Period have been turned to stone through the process of periminizeration. The petrified wood takes on a crystal like appearance as the hands of nature have transformed the organic materials into minerals like quartz. The result is a piece of wood resembling a gem. Minerals combining with the quartz shine in a range of brilliant colors. It is illegal to take any of the petrified wood, however, you can buy souvenirs to take home with you in a range of sizes and colors. 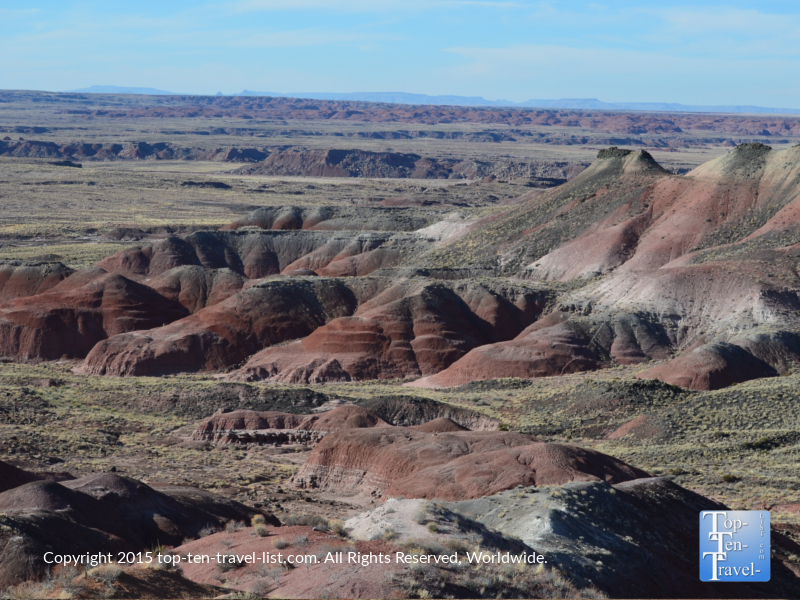 Gorgeous views of the Painted Desert from one of the park’s hiking trails. Pick up a map at the visitor’s center. If you happen to be vacationing out this way, it really is worth checking out, particularly if you are a history buff or simply someone who enjoys exploring off-the-beaten path places. Numerous means of exploring the wood including a great interpretive center, a scenic drive, and a number of hiking trails should keep you busy for at least a few hours, thereby justifying the drive over. Admission: A 7 day vehicle pass is $20, Pedestrian/bike pass is $10. *Temps can soar well above 100 during the summer months and there is absolutely no shade. Plan your visit during the cooler months, if possible. Winter is great temperature wise – plus the park is really uncrowded! *There really are no food options nearby. I recommend stopping at the wonderful Turquoise Room in Winslow if you happen to be traveling from Flagstaff – it’s right on the route. *Fill up your tank all the way in Flagstaff as the scenic park drive is quite lengthy. *Skip Meteor Crater which is a popular tourist attraction you will pass by on your way over. It’s really not worth the cost and there are plenty of more worthwhile attractions in the area such as those listed below. 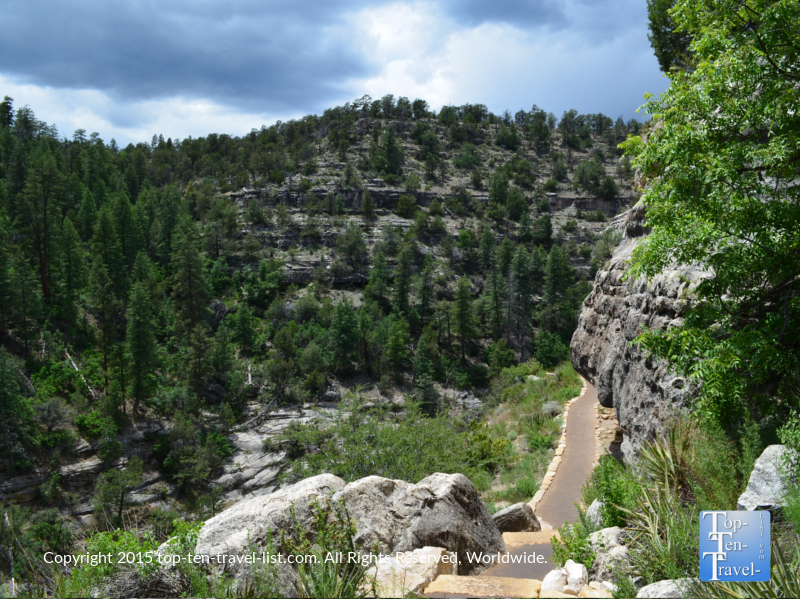 Walnut Canyon is another natural wonder that you can add to your Arizona bucket list. Over 80 cliff dwellings, once occupied by the Singua tribes, are located within this beautiful canyon. 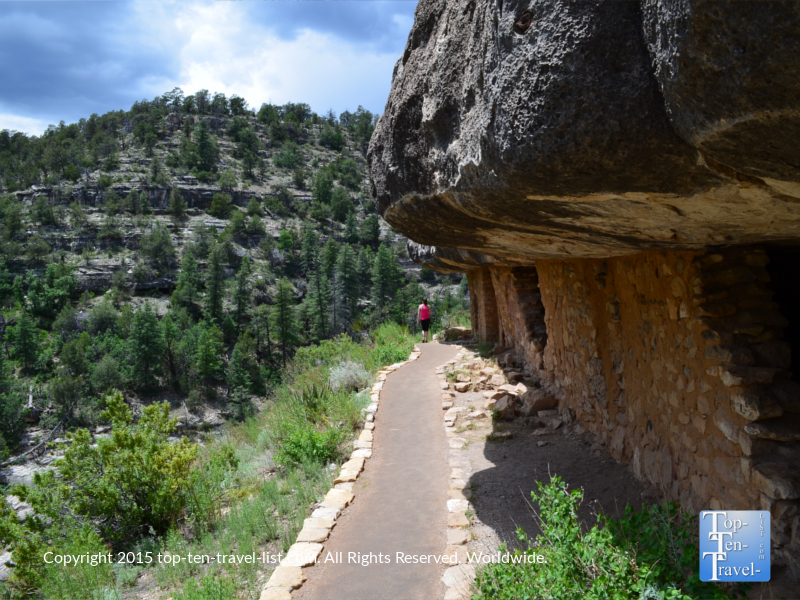 The best thing to do here is hike the short, yet steep Island Trail which provides magnificent views of the 20 foot long, 1/4 mile wide, 400 foot deep canyon, plus takes you past about 20 of the cliff dwellings. Be prepared to climb up and down about 250 steep steps! Don’t worry -it is well worth the effort for the fantastic views and historical sights along the way! 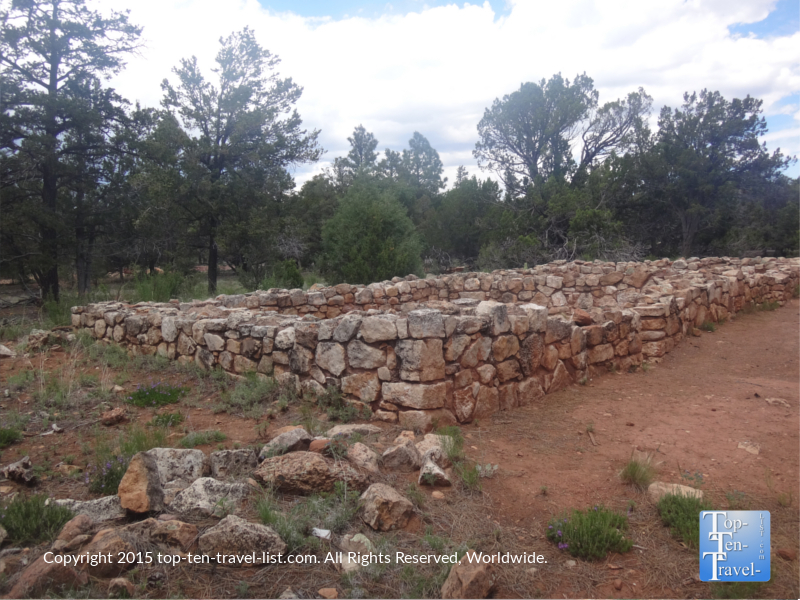 The early Singua settlers named the mountains around Flagstaff Sierra Singua which translates into “mountains without water.” Walnut Creek was cherished as a seasonal water source in an area lacking natural water. 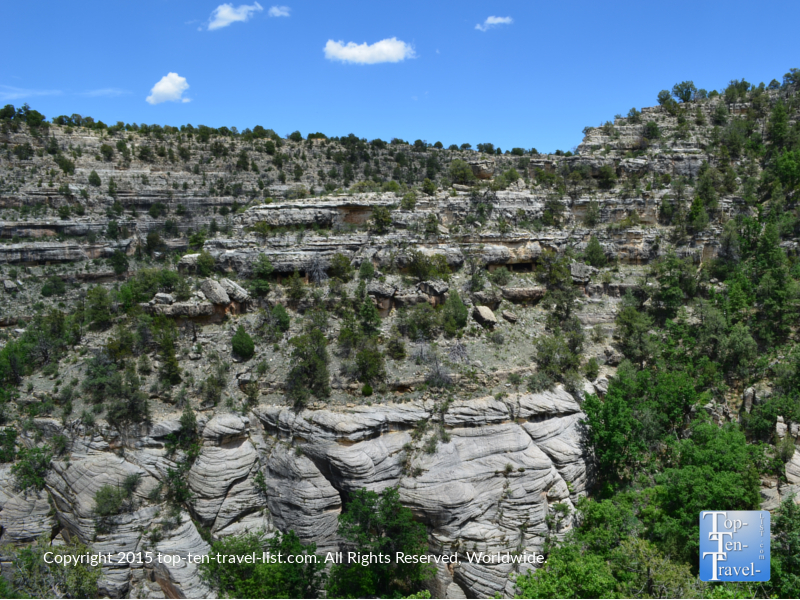 An interesting mix of plant and animal life call Walnut Canyon home thanks to several different ecosystems overlapping. Coyotes, mule deer, and turkey vulture are often spotted here and black bears and mountain lions are occasionally seen so keep your eyes peeled! 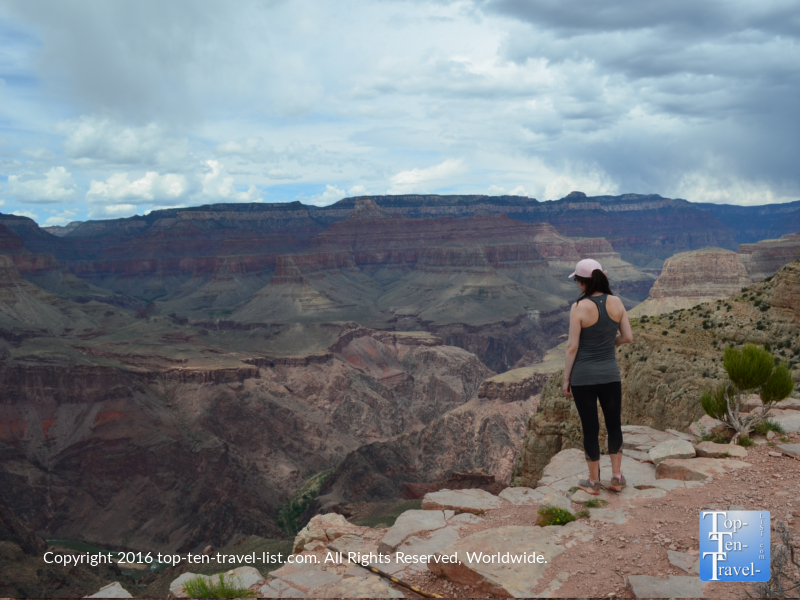 Basically if you have to choose between the Northern Arizona attractions asides from the Grand Canyon, Walnut Canyon should definitely be near the top of your list. Walnut Canyon is located about 20 minutes outside of Flagstaff. Admission: Pricing is $8 per person for a 7 day pass. *Bring a picnic or fill up with a hearty breakfast in Flagstaff before you leave. There are no dining options at the monument. *Check the event calendar for special ranger programs. During the summer months, they offer fantastic guided stargazing walks. *Be prepared for hot temps in the summer and keep in mind that there is little shade. Arrive early to beat the crowds and the heat. *Bring a full liter of water. Always drink more than normally would when hiking in a dry desert climate. 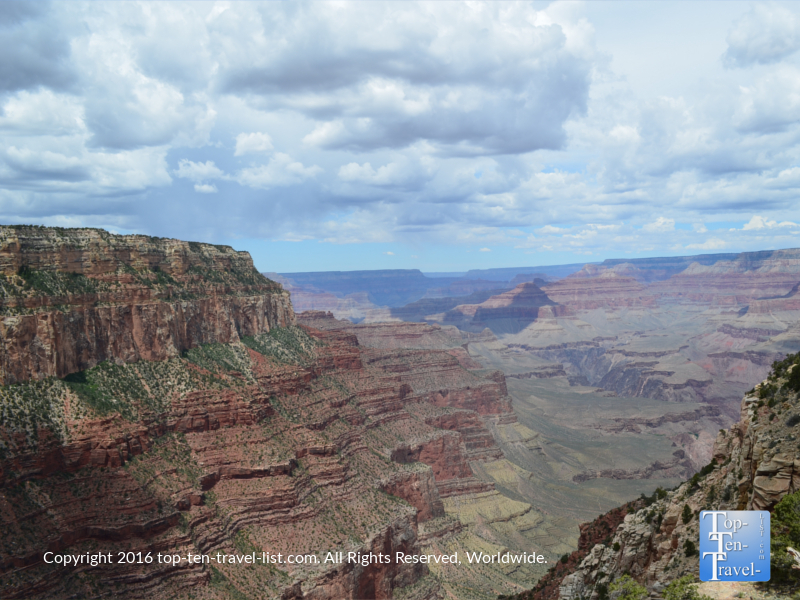 Of course, no Western bucket list is complete without checking off the once-in-a-lifetime experience of visiting one of the earth’s greatest national wonders, the Grand Canyon. This beauty is 277 miles (446 km) long, up to 18 miles (29 km) wide and attains a depth of over a mile. No picture does justice -it’s just one of those places you need to visit yourself to truly appreciate the immense beauty. 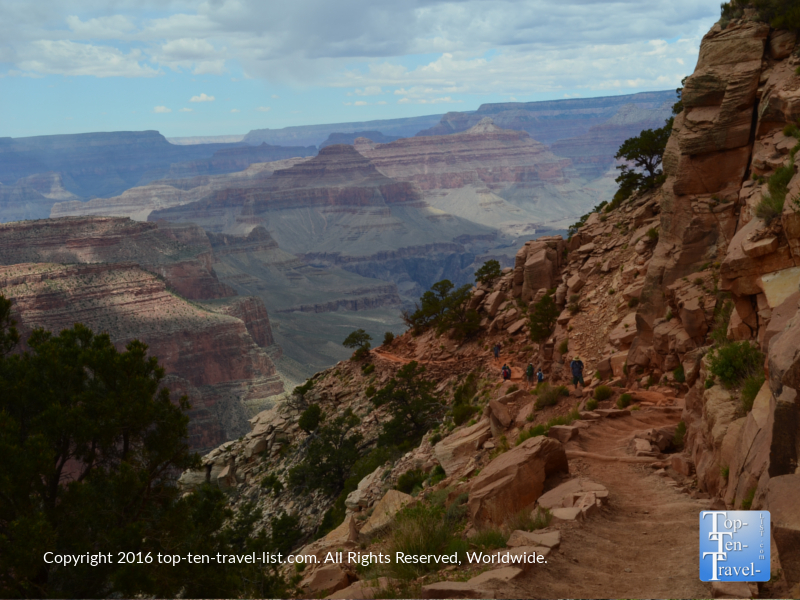 Although there are numerous scenic overlooks, museums, and interpretative trails, nothing really compares to a hike within the Grand Canyon. On a trail, you get to enjoy the views to yourself, especially the further in you go. The South Kalibab trail is unlike any other trail in the country. While the guided mule rides take the same course, it’s so much more rewarding to complete the journey yourself! 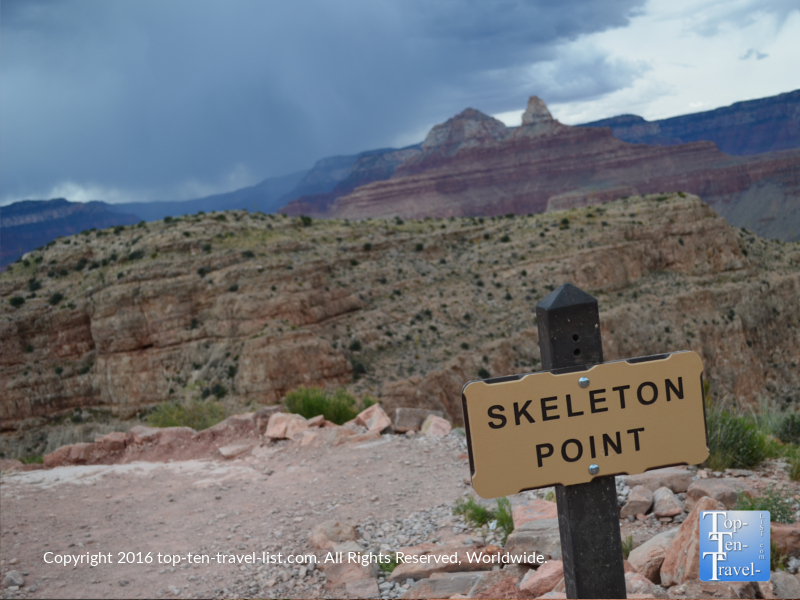 Whether you hike just the first portion, challenge yourself to an exhausting trek to Skeleton Point for your 1st glimpse of the river, or make it a multi day adventure by going all the way down to the river, hiking the Grand Canyon is one of the most rewarding experiences you will have out West. A very steep trail – definitely not for those scared of heights! But wow are those views amazing! The South Kalibab trail is very steep, although worth the trek for the amazing views! Bring plenty of water and snacks and only go down to your comfort zone! The first glimpse of the river at Skeleton Point. Not another person in sight! Another must-do if you have the time available is a white water rafting trip, available in 3-18 day trips. These are very popular and thus must be booked way in advance. Or opt for a shorter and less challenging smooth water trip, which is more affordably priced and does not require as much advance notice or planning. Staying at a Grand Canyon hotel is an amazing experience as you can get up early and watch the sunrise and feel as if you are part of the action all day long. El Tovar is a beautiful historic hotel located right on the rim and features great views and convenient access to Grand Canyon Village. Unfortunately, rooms book up several months in advance. Consider staying in a nearby town like Williams or Flagstaff, both of which offer numerous attractions & amenities of their own. 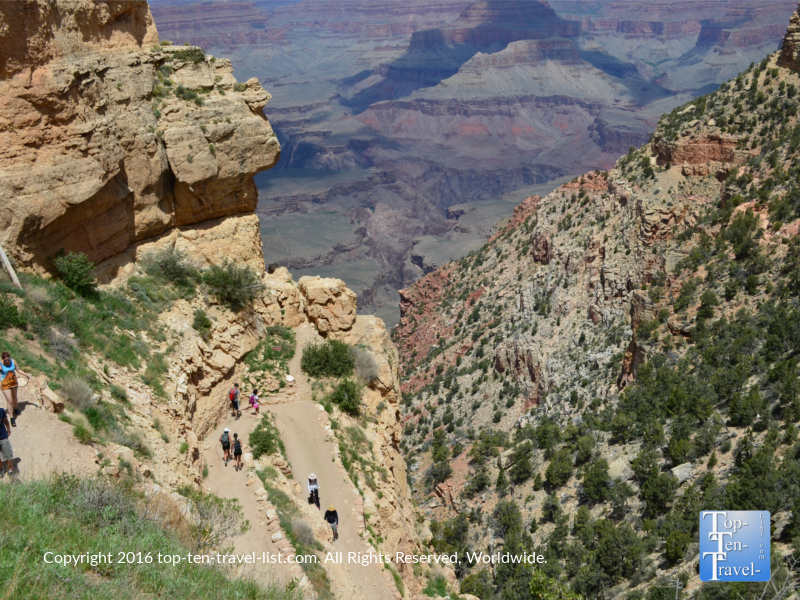 Admission: $30 per vehicle for a 7 day pass to both the South and North Rim, $15 per person/bike/shuttle entry. The North Rim is much further than the South Rim (about 3 and a half hrs from Flagstaff compared to 1.5 for the South Rim), yet still worth visiting for the dramatic drop in crowds and gorgeous rustic scenery. If time permits, I recommend planning a full daytrip or staying at the Jacob Lake Lodge. The Grand Tetons in northwestern Wyoming makes for a wonderful western vacation experience for the outdoor lover and nature enthusiast. The gorgeous Teton Mountain Range extends for 40 miles with the highest point, the Grand Teton, located at 13,775 feet. Unlike some other national parks which are crowded and congested year-round, the Grand Tetons stay pretty peaceful throughout the year. Gorgeous alpine scenery, peaceful hikes, and common wildlife sightings are the prime reasons to choose the Grand Tetons for your national park trip. And because it’s so close to Yellowstone (just 10 miles away), you can combine both parks for one fabulous vacation. Plus, you’ll save some money! In the summer season, the Grand Tetons National Park is the perfect place to enjoy leisurely outdoor activities like biking, canoeing, hiking (there are over 200 miles of trails! 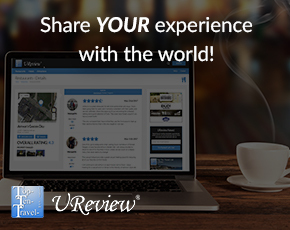 ), scenic drives, photography, and much more. There are a number of ranger led programs such as guided hikes at this time too. If you set out by yourself, make sure to familiarize yourself with wildlife safety. I see more and more hikers and campers killed by bears each year! Winter offers a drastically different setting with snow capped peaks and beautiful views accessible via snowshoeing and cross country skiing. Or take a gorgeous snowcoach tour and enjoy the majestic landscapes via a comfortable guided tour. If you are limited on time, a scenic drive is definitely the way to go. 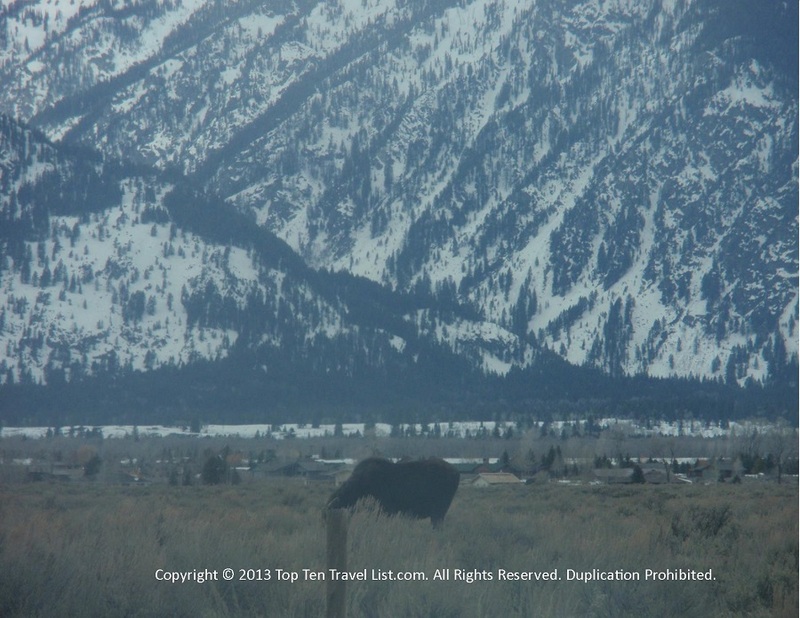 The scenery is just so spectacular here and wildlife is abundant throughout the park. There are so many scenic overlooks and the drive is peaceful and gorgeous. 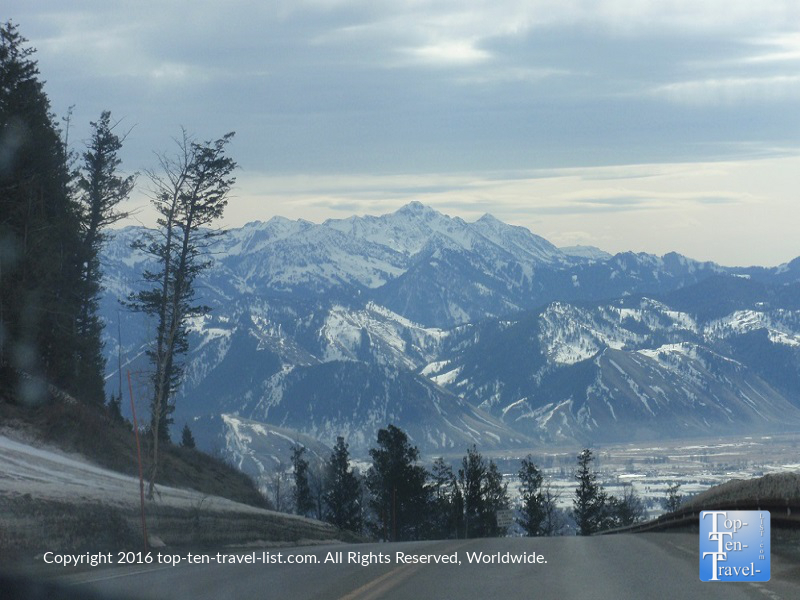 Gros Ventre Rd is a hotspot for moose sightings and also features outstanding views of the mountains. We saw so many moose up close and also lots of Elk! 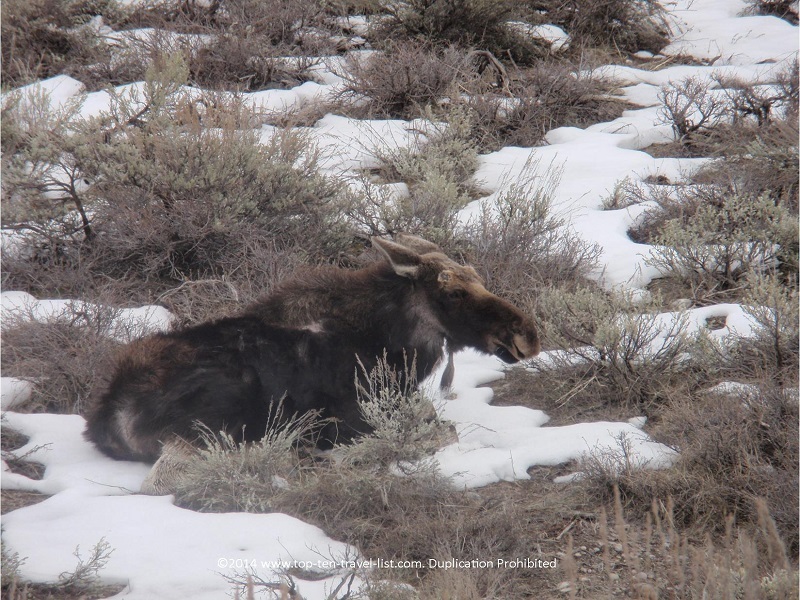 A visit to the Grand Tetons is a wonderful rustic place with the most amazing mountain views and so many opportunities to see wildlife roaming free in their natural habitat. 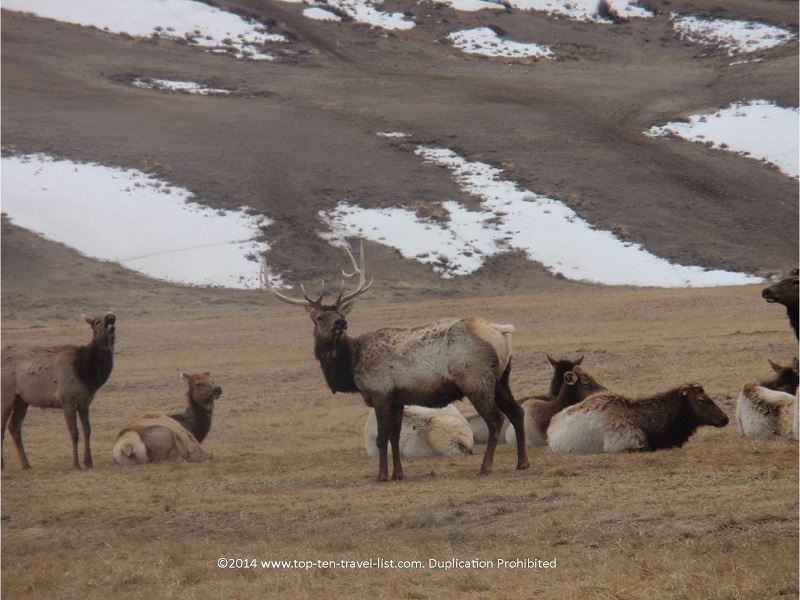 A visit to the National Elk Refuge is a must visit on any winter trip to the area! Admission: Pricing is $30 per vehicle for 7 days, $15 per individual,or you can buy a $50 pass which also includes admission to Yellowstone. Stop by the visitors center for a handy map of scenic drives and recommended activities. The staff is so nice and friendly and will give you suggestions if you are limited on time. 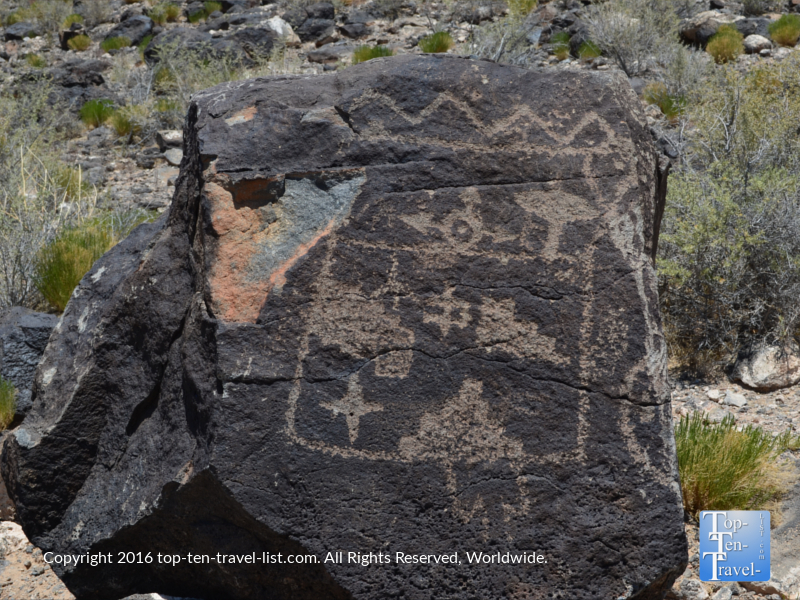 Petroglyph National Monument is a historic little gem in Albuquerque, New Mexico. It’s a great place to check out if you happen to be visiting the Albuquerque area or passing through on any Western road trip. 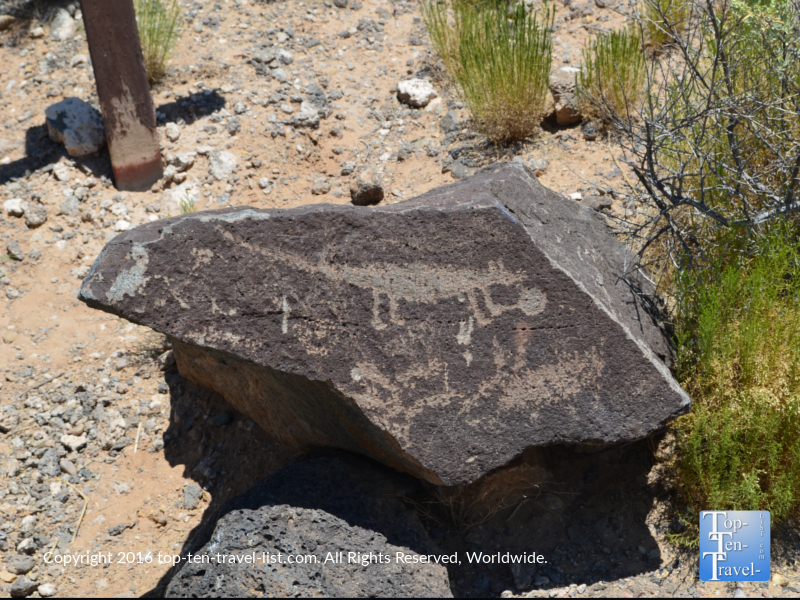 This national monument is home to one of the largest collections of petroglyphs. 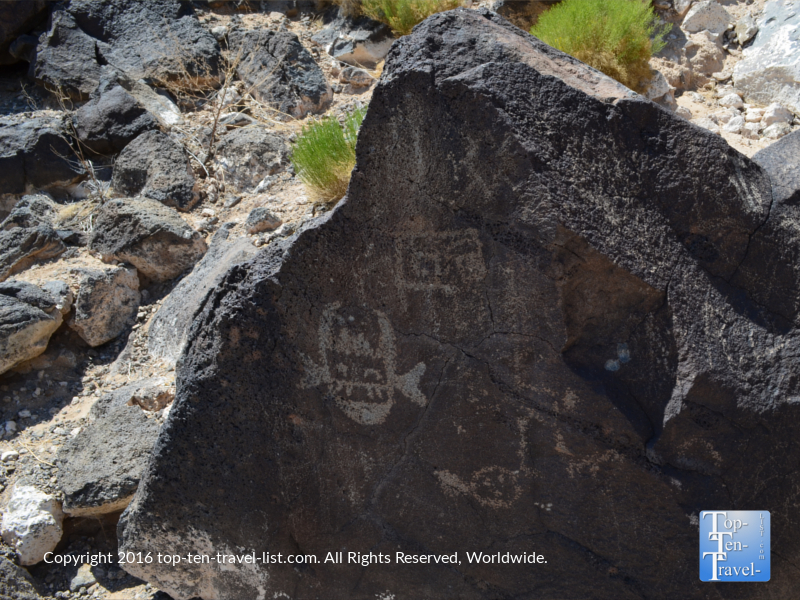 These unique designs were carved into the rocks by settlers 400-700 years ago. It’s interesting to hike the trails and imagine what life was like back in the day before all our modern technology. 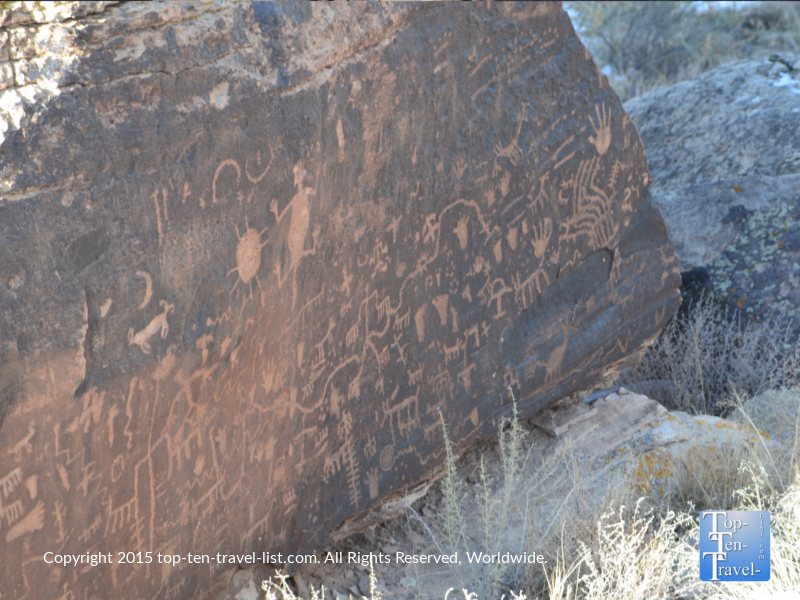 A variety of short trails take you past over 1000 petroglyphs. You will also be treated to some nice views of the surrounding mountains. 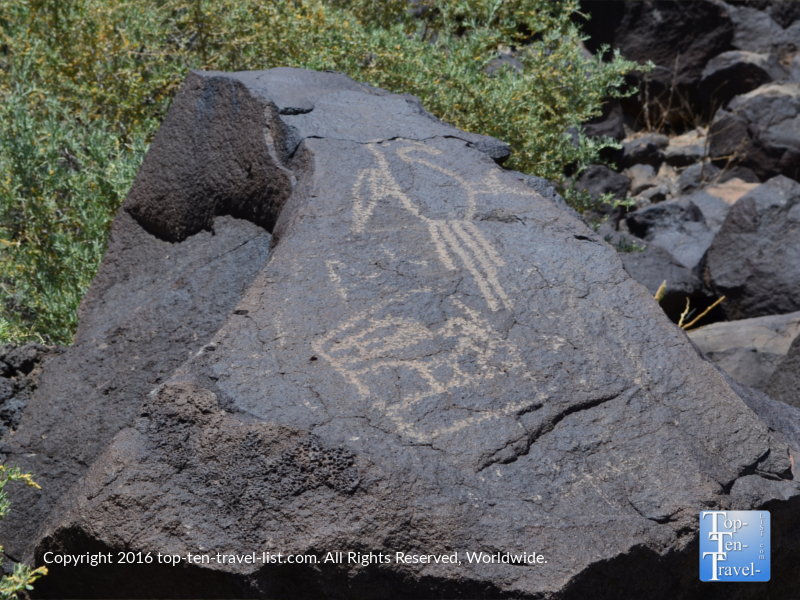 Your best bet is to hike the 3 short trails at Boca Negra where you will be able to view 100 of these petroglyphs within an hour. Many of the drawings are easily distinguishable as animals and plants while others are more mysterious and vague, making the trip all the more interesting. Admission: There is no entrance fee. Parking is $1 on weekdays, $2 on weekends. Temps can frequently soar above 100 in the summertime. Also keep in mind there is no shade. It’s best to visit during the cool season! Bring with plenty of water even if it’s not hot! Remember that you are in a dry climate! 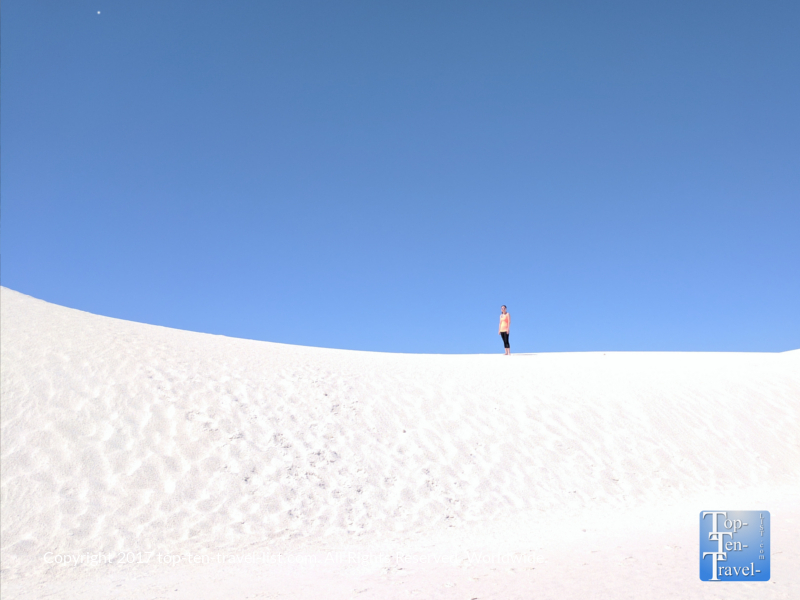 White Sands is perhaps the oddest national park on this list as the natural landscape resembles snow in the desert. The uniqueness of this park is due to the rare white gypsum sand dunes which stand out brilliantly amongst the blue cloudless skies of the Chihuahuan Desert of New Mexico. During your visit, you will see visitors sledding down the dunes. Talk about one of the strangest experiences in the desert Southwest! A brief history of how the sand dunes came to be…This area was home to a very deep lake millions of years ago which was layered with gypsum sand. Gypsum is usually soluble, however, the gypsum remained at the bottom of the lake because it was created more quickly than it could be dissolved. Once the water eventually evaporated, nature broke the gypsum into selenite which is what gives us the beautiful striking white dunes that exist today. The visitor’s center has informative exhibits and a great informative video on the area. A scenic loop drive takes you past these incredible dunes, however, you can get out wherever you like, toss of your shoes, and walk across the smooth cool sand. Unlike quartz based sand, the gypsum sand does not easily convert the sun’s energy into heat, and thus stays cool to the touch even during the intense summer season. It’s so much fun to simply walk around taking a million photos. The photo opportunities here really are incredible, especially if you visit at sunrise or sunset. The views of the glistening dunes seem to be endless and you really feel like you are isolated in the middle of nowhere. No matter how many crowds are around you can always find a place to yourself. White Sands truly is like no other place in the country and definitely a sight to check out if you happen to be planning a road trip through New Mexico. If you are interested in strange and offbeat destinations, then White Sands surely fits the bill as it is home to one of the rarest natural landscapes on the planet. 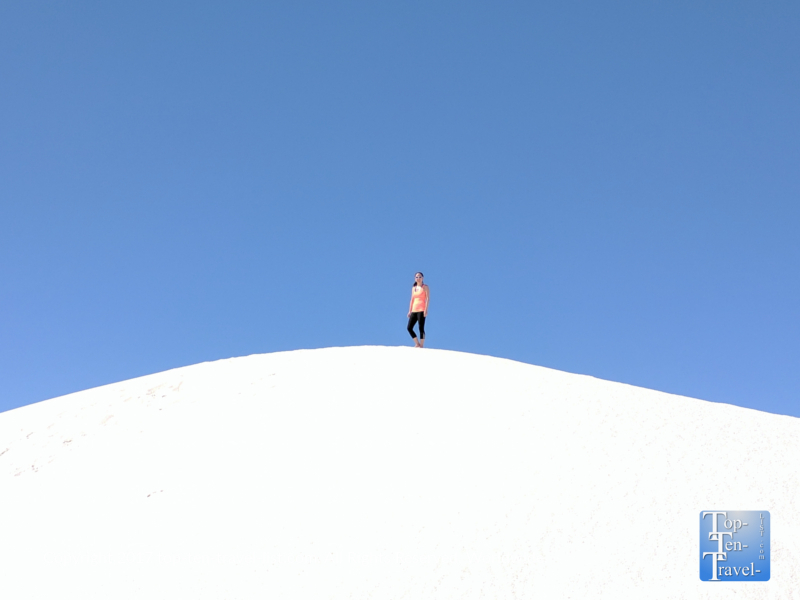 White Sand’s gypsum dune field is the largest on Earth! Admission: $5 per adult, children 15 and under are free. *It gets extremely hot here during the summer season and tourists have died of dehydration. If visiting in the summer, limit your visit to the early morning hours and bring with plenty of water. *Sign up for a guided tour. This is a prime opportunity to learn more about the beautiful landscapes. *Stay in Las Cruces or Cloudcroft. There are not many lodging or dining options in the White Sands area. *Cloudcroft is a great high altitude mountain town which makes for the perfect cool escape after a hot day in the desert. 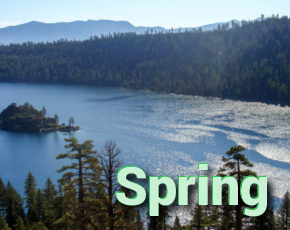 Enjoy the scenic drive up to the mountains, a nice hike, and a little lunch in the pines. *Purchase an annual parks pass – at just 80 bucks it usually pays for itself in just 2 to 3 visits. *Check the National Park website for road closures and special alerts. *Plan for dry conditions with extra water and salty snacks. *Many of these parks are in high altitude areas. Take it easier than normal and follow high altitude safety tips. *Check the calendar for National Park fee free days. Keep in mind that the parks are much more crowded during free periods. 2017 fee free dates. *Avoid hot, dry desert areas like Saguaro and the Petrified Forest during the summer season. Hiking and even being outdoors for prolonged periods in this type of dry heat is simply dangerous. *Fill up the gas tank before you leave. Gas is usually limited and pricey near national parks. *Eat a full breakfast wherever you are staying and bring with plenty of snacks. Food options are limited in many of the parks. *Read up on wildlife safety and be especially prepared when hiking – bear spray, bells, hiking sticks, etc. *Hotels near western national parks fill up quickly, oftentimes months in advance. You must book early to get your desired hotel! *Special activities like whitewater rafting, horseback rides, special ranger tours, etc. fill up fast at Western national parks. It’s best to reserve your spot months before your trip. *A hotel with a free breakfast like La Quinta comes in handy when you just want to get up and get to your destination. Saves both time and money. *Stick with an affordable no frills hotel. With all the driving required out West, you likely will be exhausted at the end of the day and just ready to sleep!